DES MOINES, Iowa (AP) — Iowa was in the forefront of a national effort to reduce partisanship in the courts nearly 50 years ago when it decided to stop electing judges and instead rely on nominations by a panel of citizens and lawyers. In all, about three dozen states adopted similar systems aimed at emphasizing legal expertise over politics. But now Republicans who control the governor’s office and the Legislature say it’s time to give politicians greater control. House and Senate leaders are moving to change how judges are chosen after being repeatedly frustrated by court rulings on topics like gay marriage and abortion. “Over the last 20 years there’s been more and more judicial activism where the Supreme Court justices are trying to legislate from the bench,” Senate Majority Leader Jack Whitver said days before the legislative session began. 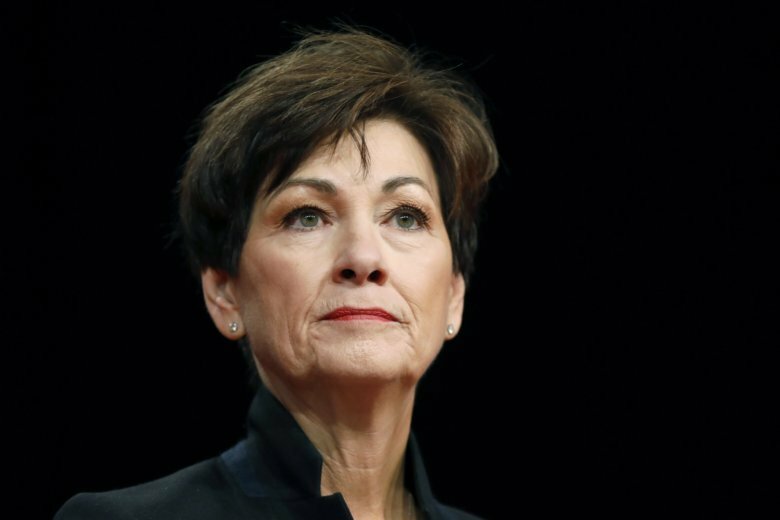 The Iowa proposal appears to be part of a national effort in conservative states to bring the courts into sync with the other branches of GOP-led government. Iowa is among at least four states where Republican lawmakers are trying to lessen the role of attorneys on judicial nominating panels, a move that some critics say could lessen public faith in the judiciary. The Iowa proposal would allow legislative leaders rather than lawyers to select attorneys for a state panel that nominates judges for the Iowa Supreme Court and Court of Appeals. The governor, who also appoints members to the panel, chooses judges from among the finalists provided by the panel. Iowa created its system in 1962, when voters amended the state constitution. Iowa legislative leaders say the change is a way to give power to elected officials rather than private attorneys, but key supporters initially acknowledged the plan was born from frustration at court rulings, starting with a 2009 decision that legalized gay marriage. “It’s just a matter of accumulation of dozens and dozens and dozens of activist rulings from the court,” said Whitver. In Alaska and Wyoming, Republican legislators have submitted bills that would require state Senate confirmation of lawyers named to panels by other attorneys. In Missouri, a proposed constitutional amendment could allow the governor to appoint judges without relying on an independent commission that offers a list of candidates. Susanne DiPietro, executive director of the Alaska Judicial Council, said she’s “at a loss to explain why the system needs to be changed” in her state. The council, comprised of lawyers and other citizens, screens and nominates judicial applicants to the governor. DiPietro noted that when Alaska’s constitution was written in the late 1950s, the framers considered requiring legislative approval of lawyers named to the panel but rejected the idea. “The sentiment that won the day was that requiring legislative confirmation of the lawyers would inject too much political partisan politics into the process,” she said. Wyoming Sen. Larry Hicks said his measure was also introduced to counter the influence of liberal lawyers in judicial nominations but that it is on hold while other legal system changes are implemented. Iowa’s commission is comprised of 17 members and overseen by a state Supreme Court justice. The spots are split between lawyers elected by other attorneys and citizens appointed by the governor. All of those named by the governor are Republicans, and of the lawyers, five are Democrats, two are Republicans and one is an independent. However, the influential Christian conservative group The Family Leader, said the goal is to curb liberal rulings. Chuck Hurley, a lobbyist for the organization, said laws passed by the Legislature have been undone by “activist” judges that he says have declared a right to abortion in Iowa and redefined marriage. Tom Levis, president of the Iowa State Bar Association, denied that lawyers have stacked the Iowa courts with liberal judges, noting that there are twice as many Republicans as Democrats on the nominating council. If the new system is approved as expected, the new process would immediately take effect and result in Republicans naming 12 of 16 available positions — eight by the governor and the others appointed by the majority and minority leaders of each legislative chamber.